Since the moment fashion week ended I have been waiting with baited breath for my favorite spring collections to hit stores. I'm constantly asked who my favorite designers are and what collections I'm currently crushing on and this spring the standout for me is without a doubt, the girlie overload that Kate Spade is dishing out. I literally can't get enough of the vibrant eye catching colors that are scattered throughout the collection, not to mention the bow details that adorn some of my favorite pieces. You may remember seeing me wear other Kate Spade pieces here, here and here. This is true love ladies, I simply can't deny it. 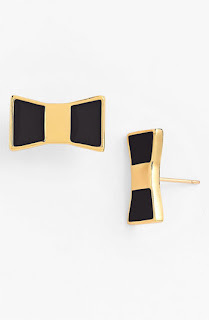 Below are my favorite stand out Kate Spade pieces that are currently available. Click the picture to shop the piece! Which is your favorite? Today I have posted a new article with an outfit showing more about the amazing FALLAS from Valencia. Don't miss the amazing coat I'm wearing! Cute outfit! 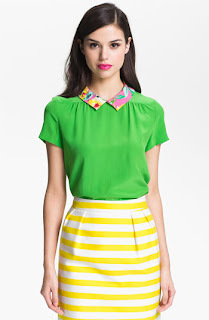 I love that peplum skirt :) It looks adorable with your bow top. You look absolutely marvelous! I adore your outfit and you styled it perfectly! Kate Spade is amazing! You looking beautiful. I love that bow top from kate spade too. Its really pretty. I never been in a kate spade store but I always look on the website and they have so gorgeous pieces. 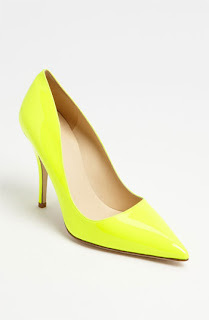 I definitely gonto shop to a kate spade store when I'm in L.A.
Have a fabulous start in the new week. 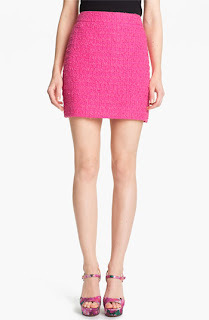 I am obsessed with Kate Spade and the entire spring collection. I feel like I could wear every single piece (if my bank statement would permit :) You look adorable in this top, it's such a pretty and chic piece! Love your bag and this colorful outfit! You look so stylish, Anna. The colors are fantastic. Very nice!! Today in my blog Stripes and yellow. I hope you visit me. Many kiss from Andalucía!! Absolutely gorgeous colour combination. Would never have thought of it myself. Great post Anna. Love how you combined and styled these colors and pattern and gave us more example. You do an amazing job on your blog. Agreed. Kate Spade is great. Also adore your blazer! 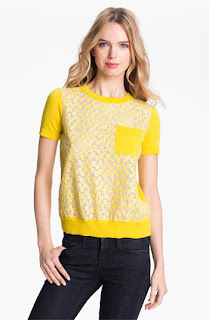 Your kate spade top is absolutely adorable! You look amazing. 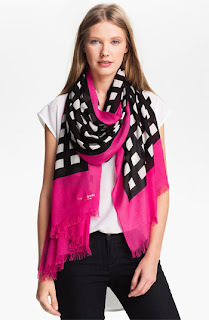 Kate spade is a tried and true favorite, always knocking it out of the park! 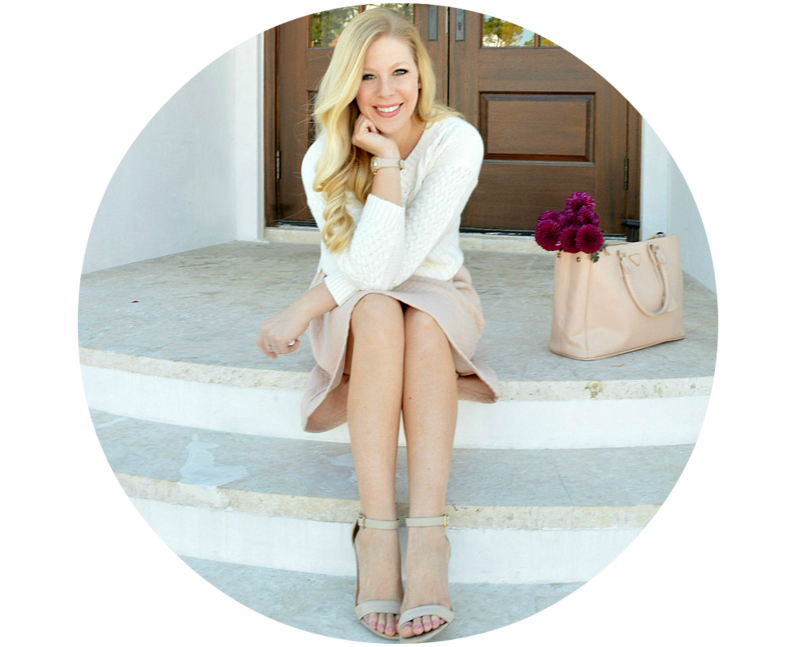 I am with you on wanting everything from the new Kate Spade collection! It's to-die for adorable! 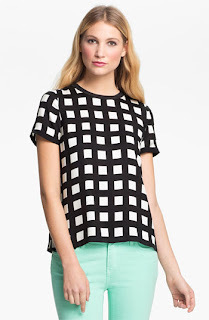 Love the print of your top, everything Kate Spade does is perfection! Love it. Sometimes a girly overload is just the best! The color is so good on you!! That blouse is a stunner. I love the pink and teal combo. Presh. Obsessed with that bag! Wowza! Love your bow blouse. I can't seem to get enough of bows lately. I can't wait for the spring collections to come out and for the weather to warm up so i can wear them!!! :) I'm follwoing you on bloglovin, please follow me as well. Great combo! you look stunning doll. the pink jacket is fabulous! holy crap. I love that bag. I love this bright blazer! You look so pretty. I love the entire outfit .. its well put together. 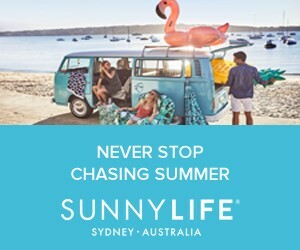 Please visit my website at http://ithinkiloveit2.blogspot.com/ for latest trends. 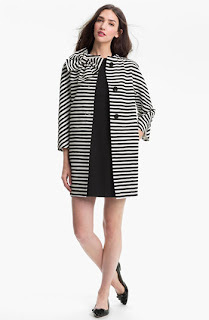 Oh my gosh, that black and white striped coat is divine! Love your bag! I love the collared top with all the little bows and the necklace that matches the minty color of the shirt. Such bright, pretty colors! I'm rocking pastels in my post today! I can tell we are both in the mood for spring :). Love this look - the pink blazer is perfect! Obsessed with this outfit! Love the bow top. Such a cute look! Obsessed with your blouse! Too adorable! I adore that bow top, especially with the peplum skirt! And out of the other items, that scarf is A-MAZ-ING! Loving the pink blazer and peplum skirt! Those two pieces are so versatile and fun. They're perfect for spring! ok, I now need a black and white bag pronto...so fresh for spring!! I LOVE your blouse! SO cute, Anna! 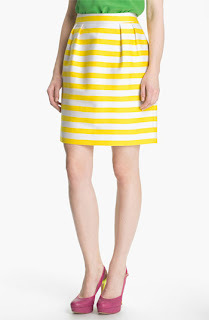 I think my favorite would have to be the yellow striped skirt. It's so cheery and fun! Your skirt!! I must have it hehe!! I love this outfit!! The mint blouse with the bows is adorable and paired with a bright pink is perfect!! Love that combo! You are so talented at putting together outfits! Love the combination of colours. And that bag! Oh my gosh, Anna, I LOVE this! 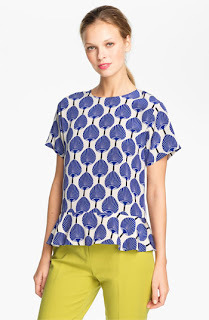 That top is too cute, and I love the color combination. I don't think Kate Spade makes anything I don't love! All your picks are adorable. absolutely stunning and irreprensibly gorgeous!